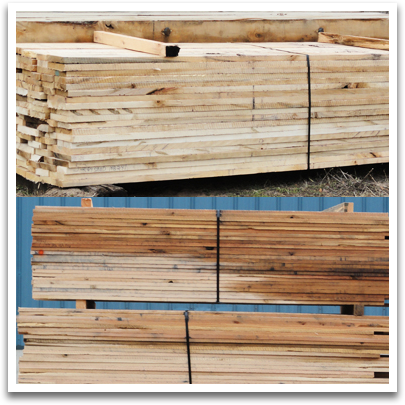 Details: Fence boards, trailer decking, timbers, fireplace mantels, barge decking and dunnage are available by the piece or by the truck load. Most hardwood species are available. Call for pricing with your specific project measurements. 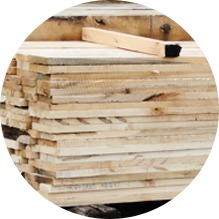 Details: We custom saw orders each week to fit your project whether it be fencing, trailer decking, a fireplace mantel or barge decking and dunnage. We are here for the individual’s needs as well as major companies. Most hardwood species are available and in stock. 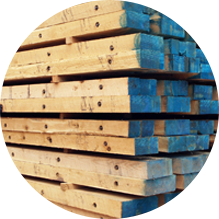 See our many options for crane mats, timber mats and swamp mats. Veneer is available in White Oak, Red Oak, Hard Maple, Soft Maple, Hickory, Cherry, Walnut, Poplar, Basswood, and Ash. Premium green and kiln dried lumber. We cut all hardwood species. 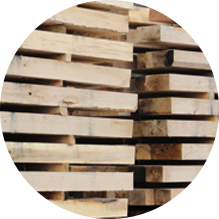 Fence boards, trailer decking, timbers, fireplace mantels, barge decking and dunnage. 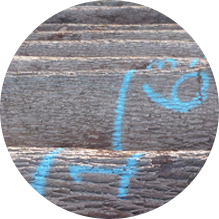 Timbers for railroad ties, cross ties, lagging and shoring. Hardwood and pallet cants. 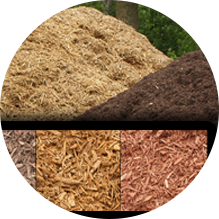 We carry natural hardwood bark, color enhanced bark and mulch, landscape chips and hardwood sawdust. 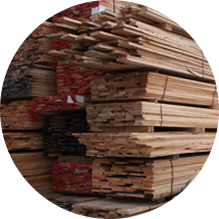 For over 30 years Atwood Forest Products has been providing companies worldwide with the highest quality hardwood crane mats, green lumber, veneer, bark & mulch and more from Michigan.